Most genetically modified (GM) crops fall in to one of two categories. They are either engineered to resist chemical herbicides, or they are engineered to produce insecticides in the plants themselves. This means crops are designed either to tolerate specific broad-spectrum herbicides such as glyphosate or glufosinate, which kill the surrounding weeds, but leave the cultivated crop intact, or they produce a protein that is toxic for pests feeding on them. 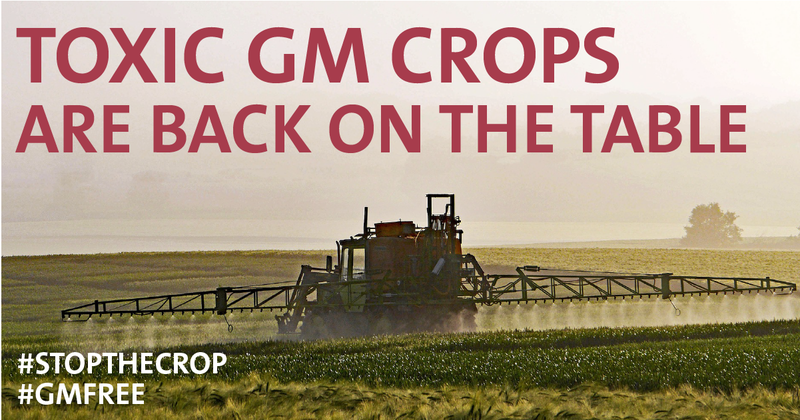 GM herbicide-resistant crops have been grown commercially since the mid-1990s, mostly in North and South America. Cultivating herbicide-resistant crops promotes, and significantly increases, the use of chemical herbicides, such as Monsanto’s ‘Roundup’ and Bayer's 'Liberty'. However, over time, weeds develop resistances to the herbicides, which leads to the use of even more herbicides that are even more toxic. This forces farmers onto an endless chemical treadmill. Weed resistance continues to increase, US farmers reported that on half of their land weeds are resistant to Roundup and that is spreading faster each year. Fields covered with resistant weeds increased by 25% in 2011 and 51% in 2012. ‘Bt’ crops are genetically modified to produce an insecticide bacillus thuringiensis protein that is toxic for pests feeding on them. Bt crops produce this toxin in their leaves, roots and stems, killing insects like the European corn borer or rootworm borer. However, the toxin can also be damaging for other insects such as butterflies and moths, and the insect pollinators that conventional farmers rely upon. Monsanto’s Bt maize, called MON810, is the only GM-crop grown on a considerable scale in the EU, namely in Spain and Portugal. In Spain, contamination of organic maize crops by GM maize has caused severe hardship for organic farmers. MON810 has been banned in Austria, France, Germany, Greece, Hungary, Luxembourg and Poland. There is still little known about how Bt plants interact with the environment. Very little research has been published about the various Bt toxins in GM maize plants and their potential effects on bees and other pollinators, and the impacts on soil ecosystems and organisms like earthworms or arthropods. For the official approval of Monsanto’s Bt maize, the impacts upon butterflies and moths are predicted using overly simplistic models that don’t reflect the reality of farming methods and ecosystems in Europe, and the negative impacts are down-played. To compound the unknown dangers, Bt crops are also constantly producing the toxin. While insecticides were traditionally sprayed at specific times to reduce insect populations, the Bt toxin is produced over many growing seasons and in all weather conditions – so that it is needlessly released even in years and periods where there is no pest threat. This contradicts the aim of current EU pesticide law that states that any kind of pesticide should only be used if the actual damage to crop yield from pests is significant. The Bt approach to pest management is now considered a failure. In the US, reports state that Bt crops no longer provide protection against the very corn borers they were designed to resist. The GM model of farming is unsustainable and damaging to the environment and rural communities. The increase in herbicides significantly increases pollution and health risks for citizens, and contributes to the loss of biodiversity. It is also entraps farmers who suffer greater cultivation costs and more dangerous working environments. In the meantime, profits from the sale of herbicide-resistant crops benefit large chemical manufacturers and agribusinesses. 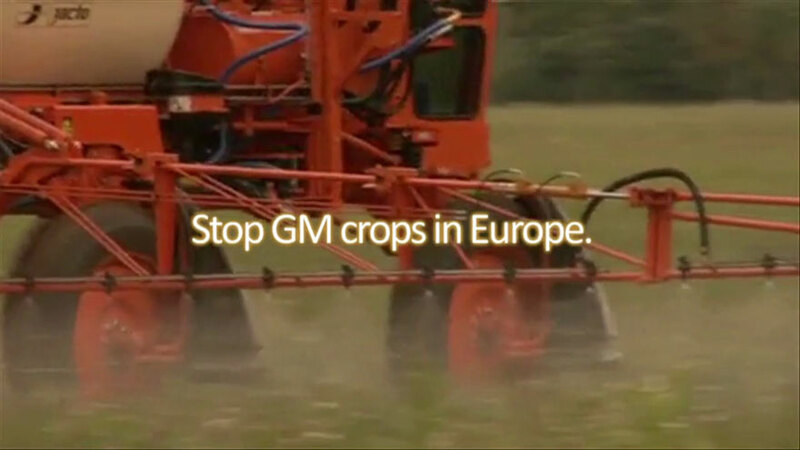 In short, both herbicide resistant and pesticide producing GM-crops are unwanted and unnecessary. There are currently no herbicide-resistant crops authorised for cultivation in Europe, and in several European regions, neither European corn borer nor rootworm borers cause any significant economic damage for farmers. Experts agree: the most effective protection against the buildup of weeds and pests such as rootworm is to rotate crops and avoid monocultures where the same crop is planted year on year. Further protection against the corn borer is afforded by chopping the harvest left-overs and mixing them with the soil. Organic and conventional methods of pest prevention work – so why do we need GM? The European Commission will initiate a vote on 16 November on whether Syngenta's Bt11 and Pioneer's 1507 maize should be grown in the European Union, despite incomplete safety tests. Continue reading >> "Risky GM maize back on EU's table"
In USA, between 1994 and 2006 glyphosate use per hectare of soybean grew by 250%. This report highlights the impacts of genetically engineered crops on pesticide use in the United States over the first thirteen years of GM cultivation. From the Organic Center. Continue reading >> "Report: GM and the USA: the first thirteen years"